I recently got some new equipment that allows me to take some extreme macro shots, I took it out to the backyard to test out and went looking for the smallest subjects possible to really test the limits of the setup. I found what I was looking for and had some fun photographing mites eating a dead gnat. It was very hit or miss and less than 1/3rd of my images were keepers, but overall I was pretty happy with my effort. Hoping to improve in the future and my future subjects probably wont be as small as these mites were so the new set-up is promising I think. What I was wondering about, is can anyone give me any info on the mites? Considering theres almost 50,000 species described I'm not expecting a species but I'd appreciate a genus or any info that might put me in the right direction towards IDing these critters. They're a really interesting group of animals, I have only photographed a mite as the main focus on one occasion before but I have recently done some reading about them and they're fascinating. Either way I hope you enjoy the photos and if you happen to know anything about the mites in question please share! Also while we're at it might as well make this a mite appreciation thread, post your photos of mites if you have them! On an unrelated note you can really see the difference between flickr and photobucket, flickr is the first photo and it looks much like it does when i view it directly from my files. On the other hand the 2nd photo is hosted by photobucket and it looks fuzzier than the original photo. So a bit of further searching about my mites makes me think they belong to the Anystidae family, a family of generalist predators. 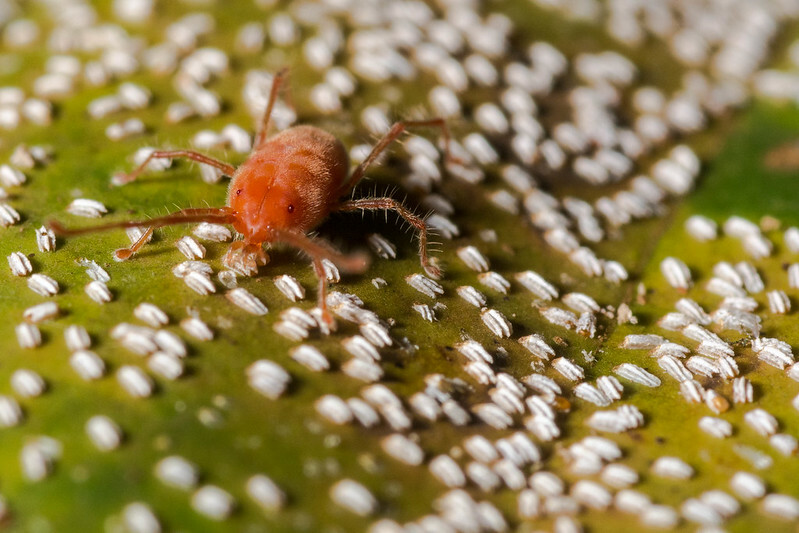 Interestingly, I think the only mite I have ever photographed as the main subject before the ones in the yard belongs to that family too, except that one is from the jungle in Borneo.